HSPC has grown and is now feeding more than 1000 people every day. 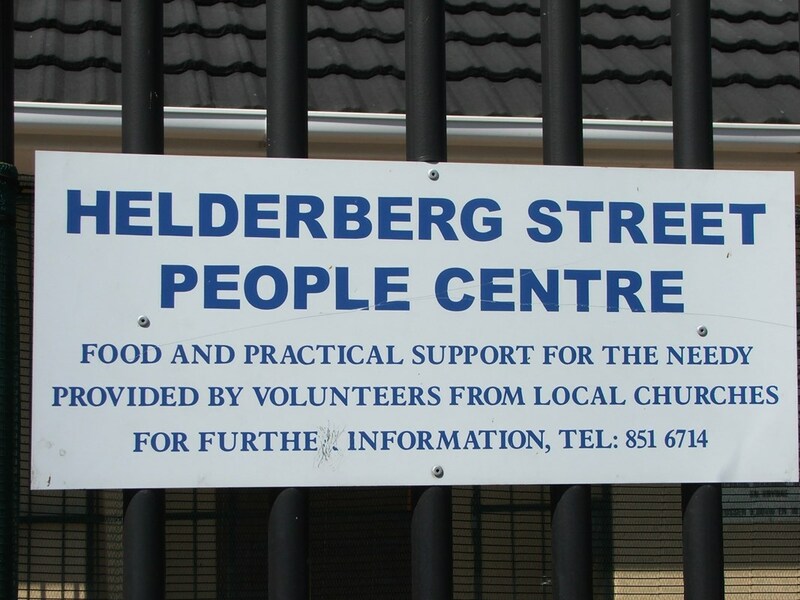 The Helderberg Street People’s Centre was established in 2001 when Ian Greer and Clive Ferreira moved to Somerset West on the Western Cape in South Africa. 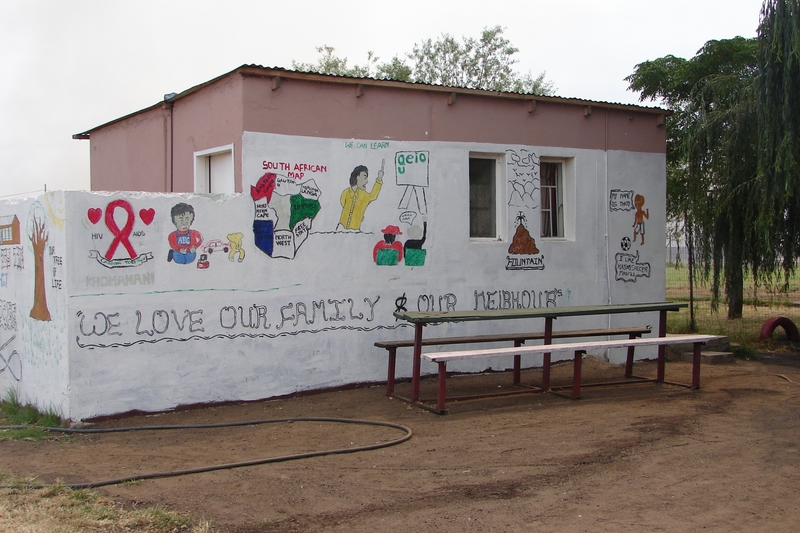 They were so moved by the plight of the poor in the town that they were motivated to found the Helderberg Street People Centre (HSPC), commonly known as the “Soup Kitchen”. The initiative brought together Christian denominations to alleviate the hardships faced by the poor and destitute by providing food, clothing, medical and other practical help. A number of church congregations supplied volunteers and some funding to get the project off the ground, and they spent a great deal of time and energy in procuring donations of food from generous businesses and individuals. HSPC has grown and is now feeding more than 1000 people every day, from the Soup Kitchen itself and its various satellites. Food, blankets, shoes and clothes are collected continuously and given to the most vulnerable. Close to the hearts of Ian and Clive was also the need for training and education, and their example has inspired the community to support the project they started. 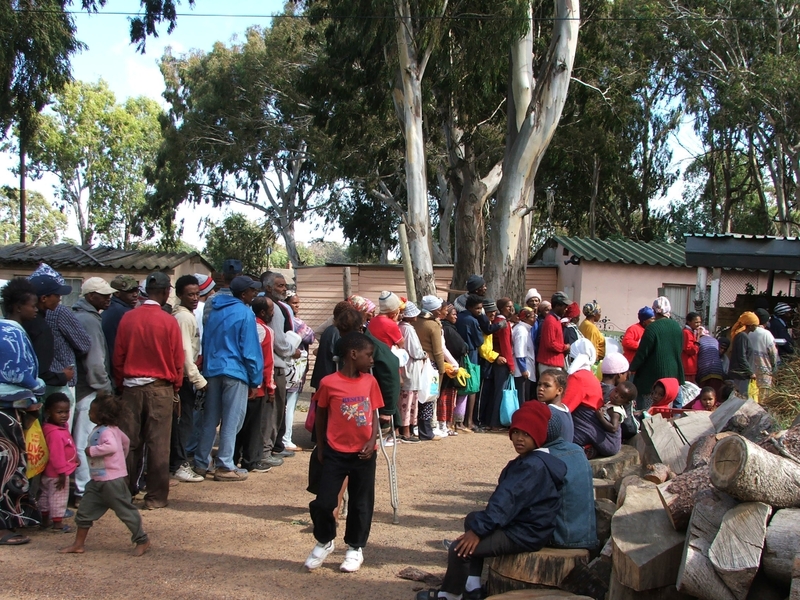 As a community-based (CBO), non-profit organisation (NPO), HSPC work to assist the homeless with obtaining the correct documentation for their social grant applications and they also assist with helping people find gainful employment. In addition, they run programmes at various sites throughout the region. Many people that visit the Centre each day suffer from various illnesses including drug and alcohol dependency, HIV and AIDS, mental and emotional problems. HSPC try to give vulnerable & disadvantaged people from 13 years of age an opportunity to improve their lives such as providing them with skills training and education sponsorship. They sponsor people attending day or evening classes to attend security or computer courses so that they can find employment. As well as developing skills, HSPC run workshops on TB, HIV and AIDS awareness, drug and alcohol abuse. Ian and Clive devoted 16 years to work tirelessly for The Helderberg Street People’s Centre. In September 2015, Ian, now aged 82, and Clive returned to the UK to retire to Leominster, Herefordshire. Tragically, after only six weeks Ian accidentally fell whilst shopping, fracturing his skull and died from internal head wounds. He is survived by his partner of thirty-three years, Clive Ferreira, with whom he entered into a civil partnership in 2006. In tribute to Ian Greer, please help continue his legacy & make a donation to support the vital work of Helderberg Street People’s Centre, particularly towards skills training, education and the sick.